On June 28, 1877, a town meeting was held in Ashland, Ohio, where the citizens of Ashland were to consider a proposal from members of the German Baptist Brethren Church to establish an institution of higher education. The Ashland Press reported that the citizens were promised the college would locate there if their city would raise $10,000. The church and community fund raising campaign proved to be a success and on Feb. 17, 1878, a meeting was held to add up campaign funds and make final plans. The success of the campaign was announced, the College was chartered on Feb. 20 and a church-related, co-educational institution was established. In April of 1878, the board of trustees decided to purchase the “most desirable plot in town - 28 acres on the hill.” The first buildings to be constructed were Founders Hall and Allen Hall, constructed from bricks made on the site. Classes opened at Ashland College on Sept. 17, 1879, with around 60 students and eight faculty members. The new institution grew slowly during its first few decades, but enrollment reached the 200 mark shortly after the turn of the century. By the 1950s, the College had added many new programs of study and experienced rapid growth from about 300 students to more than 2,500 in 1970. 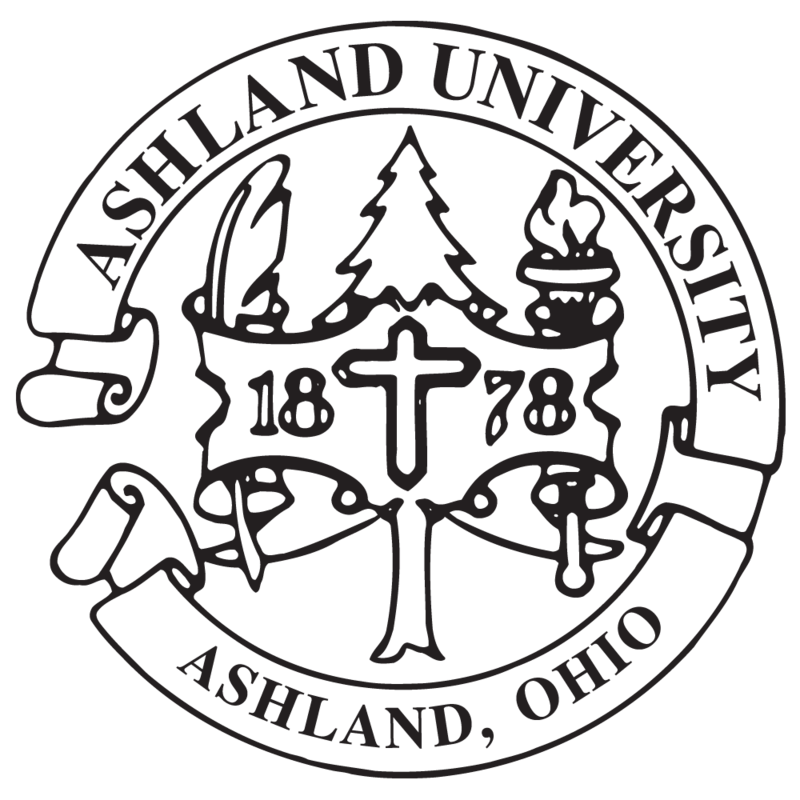 In 1989, college officials decided to change the name of the institution to Ashland University to reflect more accurately what the college had become – an institution almost evenly divided between graduate and undergraduate students. Progress continued on campus during the 1990s and 2000s with the construction of several new academic buildings as well as a new Student Center, Recreation Center and Athletic Complex. In 2010, the University acquired MedCentral College of Nursing in Mansfield and constructed the state-of-the-art Dwight Schar College of Nursing and Health Sciences facility in Mansfield, which opened for classes in 2012. Today, situated on a beautiful 135-acre campus with trees, brick walkways and flower gardens, Ashland University affords close proximity to the big city while offering the advantages of an intimate campus experience in a small-town setting. Deeply rooted in tradition, yet always moving forward, AU provides unparalleled opportunities for students to learn, grow and find their place in the world. The University has grown to 6,600 total students and is ranked in the top tier of the colleges and universities in U.S. News and World Report’s National Universities category. Ashland University continues to value the individual student by offering a unique educational experience that combines the challenge of strong, applied academic programs with a faculty and staff who build nurturing relationships with their students.